Refund your money back on your Starbucks card? Nope. I didn’t go looking for this policy change. I stumbled upon it. I wouldn’t have otherwise thought to ask about changes in the refund policy. I had thought that he didn’t catch there was a reward. I said again, ‘You got the reward on the food?’. The barista said, ‘You didn’t say you were using a reward.’ I said, ‘Yes I did.’ The barista said, ‘No you didn’t.’ I said, ‘Yes I did.’ The barista said, ‘No you didn’t.’ And later, ‘I can just do a refund… oh no I can’t…’ The shift supervisor standing behind the register barista seemed alarmed. It was he who stopped the round and round of ‘Yes I did’ and ‘No you didn’t’ and eventually he said, ‘Take your store credit, and take your food…’ and I wasn’t charged at all, which also flustered me. It’s very thoughtful of the shift supervisor though! I could see that the barista had a plan to refund the Bistro Box back on to my card and re-ring the transaction. Or, at least that’s what I thought. What actually ended up happening is that I walked out of the store with a card that says, ‘Store Credit’ for the value of the transaction. While I didn’t say anything about this – I had a moment of being puzzled. I didn’t realize that any policy had changed. I believe what Starbucks is thinking that they don’t want people to purchase things like bags of coffee or merchandise to obtain stars, and then go to another store later and ask for a refund, keeping the Starbucks stars. Of course, many retailers have policies where you have a short window of time to return merchandise for a refund as the form of payment, otherwise you get some kind of merchandise credit card. Look for this change to happen mid-April, coinciding with the launch of new Starbucks Rewards, rumored to be April 12th. I’m just letting you know so that you won’t be surprised when or if this happens to you. Edit: In reading comments here and on Facebook, it seems like this has come up for a few people already. It seems like maybe Starbucks could cure this problem by having a very short window of time, like 15 minutes, where the register allows refunds on a transaction. I don’t know what a store would do if they’ve happen to run out of store merchandise credit cards. Coming Soon: Bottled Starbucks Cold Brew; Starbucks Prepaid Visa; Windows Phone App. Seeing Stars at Teavana: The Starbucks-Teavana Card Arrives. How many Starbucks Star Rewards do I have? When do they expire? What is My Starbucks Rewards one-to-one marketing? Why did my friend get a different offer than me? The refill policy at Starbucks: Refills are regardless of original beverage purchased. This seems a little odd to me, but it kind of makes sense. I guess theoretically, you could buy an espresso machine and earn the stars and then return it. But people will always find loopholes in the system. What I found more worrisome was how the barista reacted to you and got argumentative. That had to be frustrating. I have also noticed that when submitting an issue via the website you are no longer credited anything to your account should they offer something. They now mail out a gift card rather than just load a recovery amount. I think that is an odd way to approach it as it now costs them more money to do it that way, cost of card, postage, packaging and the value being added. Something similar happened to me several weeks ago. I don’t know if it was preparation for this new way of handling refunds, or if it was just a confused barista (he seemed inexperienced). I ordered a bistro box using MOP and when I arrived they were out of the bistro box I ordered. He gave me the refund on a merchandise credit card and offered me a free drink of my choice as well. So I lost out on earning the star on my purchase but got a free drink. I was happy with the results! But if I only got the merchandise credit, I would have been disappointed about losing out on a star. I had this happen on Friday when they ran out of breakfast sandwiches that I ordered through mobile order and pay. The barista got so confused about how to refund for a non existent sandwich that they they just added $5 to my Starbucks card via the mobile phone app. The biggest problem with this is the lack of control it gives baristas. If we make a ringing error it takes make the moment right out of it immediately. Managers are the only ones that can do voids and if the manager is on break it leaves the barista powerless. Sometimes the error is as simple as charging for the wrong size. A customer does not want 15 cents in store credit. They just want the money back on their original form of payment. There really should be an override when it’s an honest mistake on the partners fault. This seems way too complicated for the barista. Being a previous barista the policy in place before the change is still rather complicated. In any transaction if there is a item to be returned said item should be placed back onto card originally purchased from. I can understand if it was a cash transaction to go ahead with in-store credit. But consumers will be more upset about not getting money back to their gold card or any other level Starbucks card. I would like to say this change would be good. But for the staff it sounds as if this will become a nightmare for them. This is already causing massive headaches because a lot of stores, at least in the Dallas area, don’t have functioning merchandise credit cards. There were large batches that we’re produced and don’t work properly and now we can’t order any from our distribution center. BIG headaches! BINGO to Amanda… This is Starbucks way of keeping people from earning double stars on a purchase. It has happened to me before that an item was rung up incorrectly, and then when the refund/void was created I did NOT lose the stars I acquired for the “wrong” purchase. Does that make sense? They have determined a way to keep this from happening. Even so, this is a terrible way to do it. I venture to guess this new policy will be tweaked to flow better. And Melody… the yes and no back and forth was terrible. So sorry you had that happen. I can’t even load store credit cards at my store in Texas the only thing we can do right now is give them cash back. Beyond frustrating. I also feel like the changes weren’t communicated well. This happened to me recently when I made a mobile order and came into the store only to find that what I had ordered was out of stock. I was given a refund in the form of store credit, but even the baristas seemed a bit confused by the process. This is quite an annoying policy change, to say the least. This seems to have already started in the Seattle area. My drink was made incorrectly so it was re-done and they let me keep the incorrectly made drink instead of throwing it away. Not a problem. Then the barista came over to where I was sitting and said she wanted to refund the price of the drink onto my SBX card, which was super nice and totally unnecessary. After about 10 minutes she came back and said she couldn’t figure out why she couldn’t refund me and said she would just give me a store credit for the amount. So basically I got two free drinks and store credit! This happened to me in SoCal about 6 weeks ago. I ordered SBL, paid with my app, he came back to say they were out of the item. I really didn’t want anything else, so I just asked for a refund. He tried multiple ways multiple times and couldn’t make the refund happen. He finally gave me a card with credit on it. I thought it was a one-off. My bonus star stayed intact from when I originally paid, but I didn’t get one when I used the card he supplied me with the credit on it, so it evened out. Partners who have been unable to refund to store credit cards need to be sure to use most recent ones, cards from 2010 will not work. This policy change does make it hard for the baristas to make the moment right for their customers. Love the idea of using a 15 minute window for refunds back to the Starbucks card! Couldn’t you just buy a new gift card with the store credit and register that or transfer that new gift card to your registered card? Worked for me today. Went to get my free drink. Barista accidentally charged me. After I realized it ( within 5 minutes), she just refunded the money back onto my phone app. No problem. Refunds should only be used when returning merchandise or a faulty beverage or food. Otherwise, if it is a ringing error just have the supervisor on duty void the transaction, in that moment, and re ring the customer up. Then there is no merchandise store credit card. I will say MOP orders don’t apply to this, it’s the only exception. Why not do what BestBuy and other rewards programs do? The refund to the card also negates the points earned on the transaction. Since the new Star Policy will be 2 Stars per Dollar Spent, it should be trivial to wipe out the stars earned on the transaction, since it’s still 2*/$1. The one issue I can think of is that it would cause problems with customer complaint-based refunds. That is, if a customer complained about something and had their order refunded to their card (but kept the order), they might feel a bit put out if they found out that their free food/drink also came without any of the stars they just earned. Not that someone should earn free stars just for complaining, but it’s the only reason I can think of not to just issue refunds to the card and wipe away the corresponding point value at the same time. @Johnny B – I think another issue would be if the refund wasn’t in the same transaction and the customer had redeemed the earned stars before returning a product (eg. a mug). Starbucks may not want to deal with the system having negative star balances. You could also have a supervisor void the transaction while you are still in the store. I’m surprised that you as an attorney did not flag the questionable legality of this change. It happened to me when a barista erred and charged me for a bigger size than I ordered. Then, she could not give me a refund. Are you kidding? I ran into this problem last week. I wanted to get a reward drink worth $11, but the barista ran it as a purchase (when I saw “$11” instead of “$0” on the cash register after she scanned my card I knew she screwed up) and she nor the manager on duty was able to void the transaction (Cat says they can — at this store she could not). 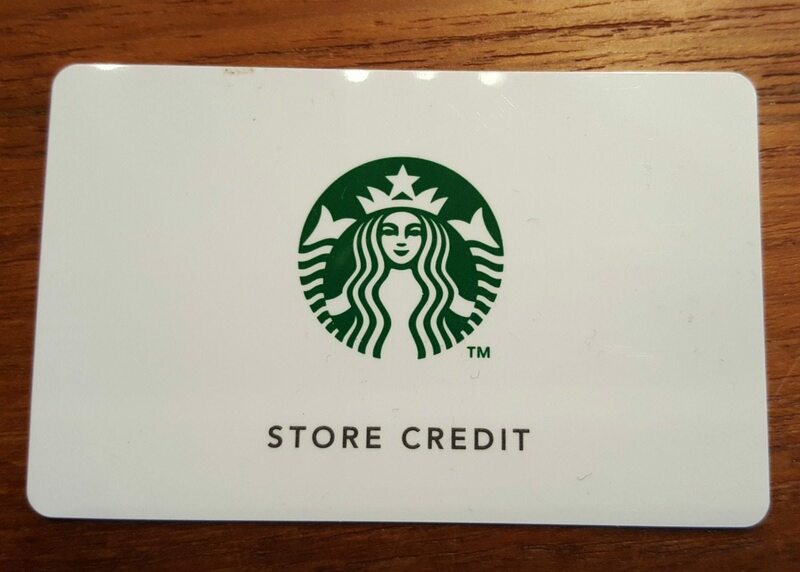 All I could get was a store credit for $11, which when spent does not qualify for stars since it’s money not coming directly out of my Starbucks Card. Needless to say I was not pleased with this. I can understand trying to prevent people from using a loophole to double-dip stars, but that is clearly not what was happening here. I was trying to redeem a reward. Since this incident I place my reward orders very firmly and clearly, no more casual “I’m getting a free one today” then on to the order. It’s “I am redeeming a free drink today. That display must say zero after my card goes in. Do you understand?” Hate to have to do that but Starbucks’ system leaves me no choice. Hmm…so I’m definitely going to just complain online if I have an issue with being overcharged… Last month I ordered a few coffees and was charged for breve for all of them(I’m not paying for half & half in regular drip coffee, obviously) and so I contacted customer service via the website. They just gave me $5 back into my Starbucks card. Would be really annoying if I’d gone into the store only for them to give me $1.50(or whatever the charge for breve is for three drinks) onto a separate card that I can’t load onto my account.